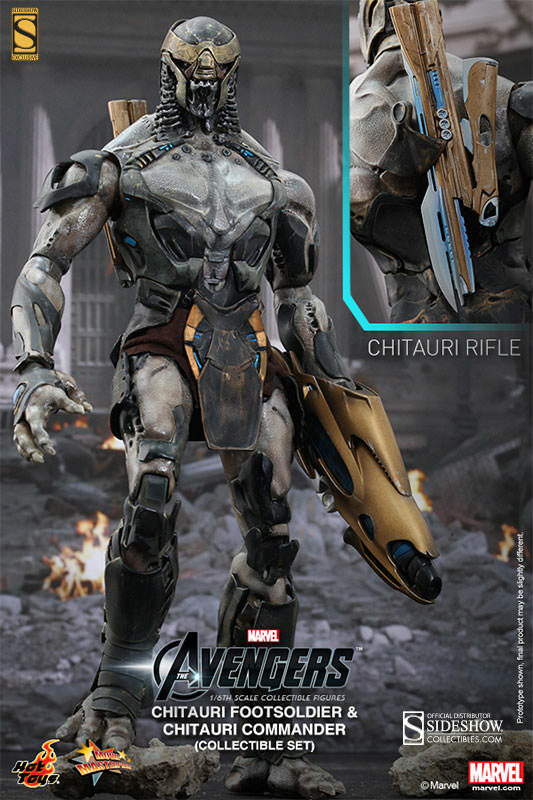 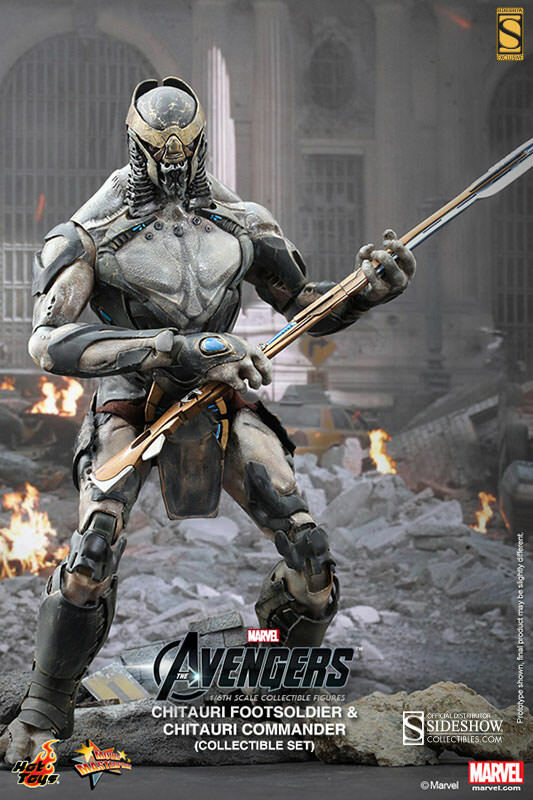 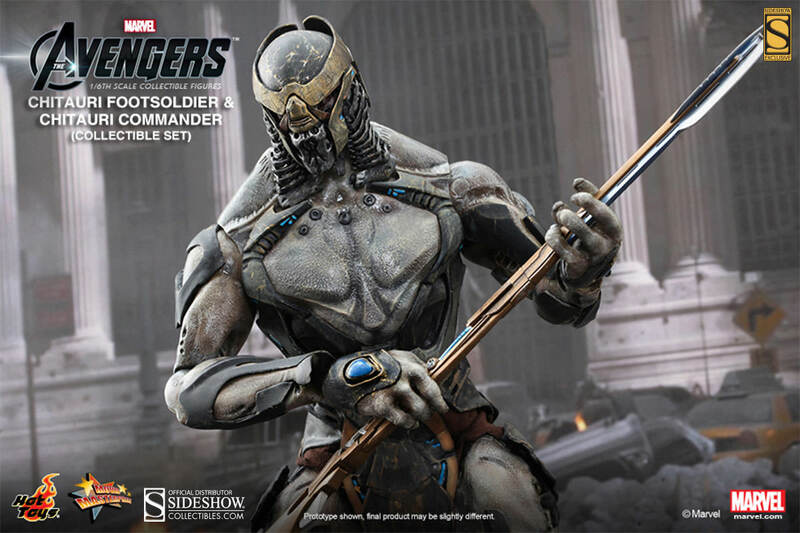 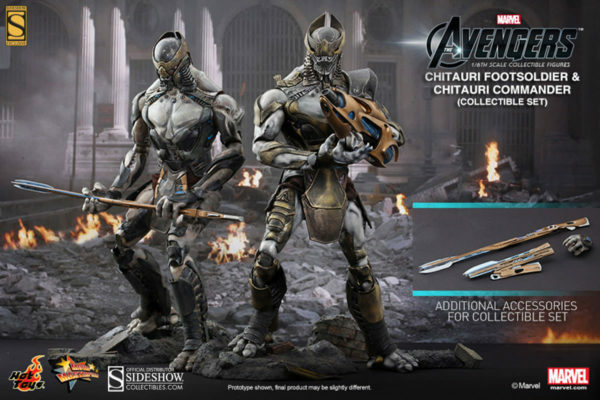 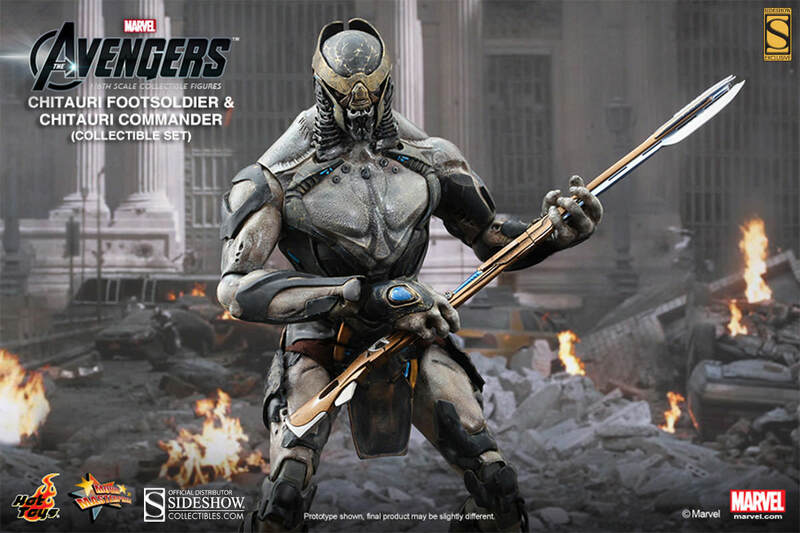 Sideshow Collectibles and Hot Toys are proud to introduce the Chitauri Commander and Footsoldier Sixth Scale Figure Set. 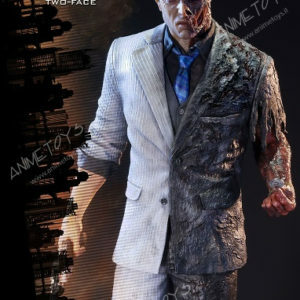 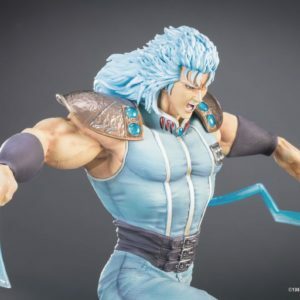 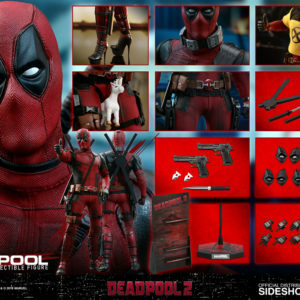 The twin pack set features highly-detailed weapons, city rubble diorama display stages, and more. 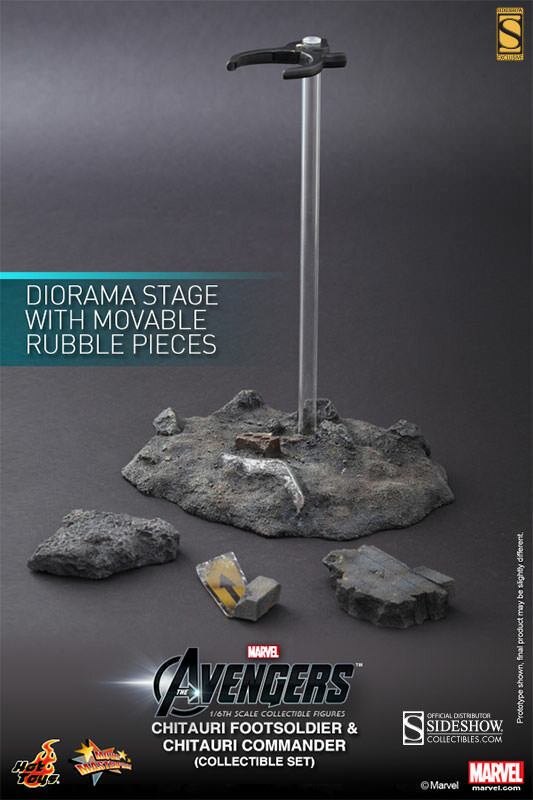 This must-have set is the perfect addition to Marvel shelves!